Something for the Venue family section. Many parents dream of a big night out, but once you’ve booked a babysitter, nightlife can be a disillusioning experience. If you want to hear the tunes you love but you don’t fancy a theme night, if you want a friendly crowd but not too friendly, if you want to dance but you need to be up bright and early with the children, there isn’t that much out there. So what do you do when you’re not ready to give up nightlife, but the nightlife isn’t making the effort to keep up with you? If you’re a Groovy Mama, you stop waiting for the next wedding or birthday to bring the party to you, and you make your own. 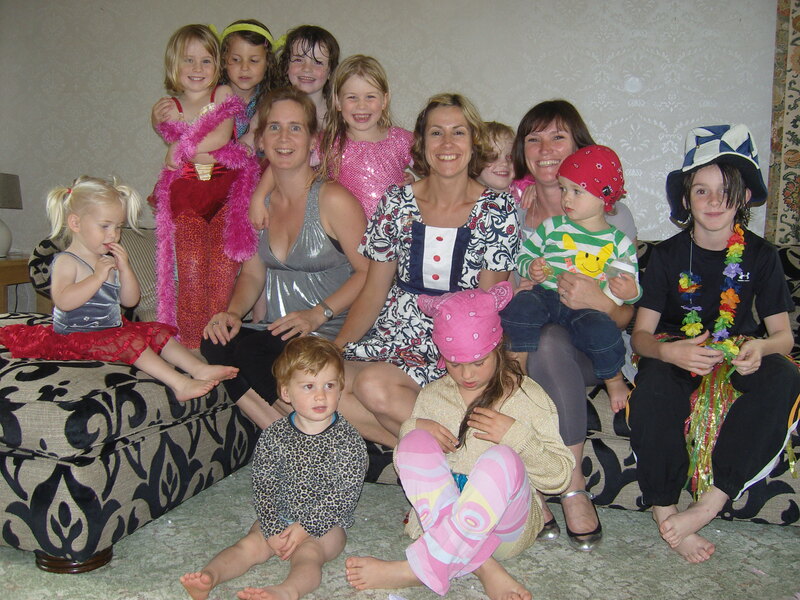 “It all started over coffee one morning,” explains Mandy Slatter, who makes up one-third of Groovy Mamas along with fellow Bath mums Jane Buckley and Jo Williams. “We were talking about going out, but couldn’t find the right sort of venue. So we decided to do it ourselves.” They booked Bonghy-Bo’s bar in Bath, recruited DJ Matt Smith (who has previously had gigs at such high-profile spots as Ministry Of Sound) to play the music, and started getting the word out. With the big night planned for just four weeks from inception, and no let-up in the regular schedule of family life, it was hectic at times (between them, the Mamas have ten children ranging in age from two to ten years old). But, as Jane explains, being a mum is as much an advantage as a handicap in starting a business: “when you’ve got kids you just get on with it. You know what you want and you go ahead and do it.” And the move from coffee mornings to club promotions was, according to Jo, “remarkably smooth – we all seemed to agree.” “And our skills seemed to complement each other really well,” adds Mandy. With the Groovy Mamas pooling their pre-children experience in retail and theatre front-of-house, and able to draw on a huge network of connections made in schools and playgroups throughout Bath, their debut turned out to be a huge success. “I kept going to have a dance”, says Jo, “and just ended up watching everyone else, because they were having such a good time.” Sidestepping the dreaded “hen night” vibe with a lively clientele of women and men, it’s that commitment to giving people a good time above all other things that makes a Groovy Mamas night such a great thing to be a part of. So, after this grand entrance, what next for the Mamas? “From the start, we’ve seen it as something bigger”, explains Jane, as she introduces potential Groovy ventures of the future. There’s the website , due to be launched in a couple of weeks to handle ticket sales and keep groovers up to date with upcoming bookings. They plan to branch out into daytime events to include children, too (“it’ll make a nice change from dancing round the kitchen with the kids,” jokes Jane), and hope to be able to offer relaxation and beauty treatments for the adults. A membership scheme is also in the offing – but before all that, there’s the second Groovy Mamas night, scheduled for 25 September, just when the parents of Bath will be looking for a boost after the beginning of the autumn term. “There were a few ideas which fell by the wayside for the first one”, says Mandy, “so we’ll be bringing those out next time.” With energy, ambition, and an infectious sense of fun, the Groovy Mamas are something to look out for.